The Panasonic Lumix DMC-GF2 is Panasonic’s latest – and lightest – Micro Four Thirds camera. Micro Four Thirds? It’s the new style of camera that eschews the mirror of the digital SLR (DSLR) camera, while at the same time emulating the interchangeable lenses of the DSLR. It’s a style of camera also known as MILC – Mirrorless Interchangeable Lens Camera. They’re smaller and lighter than DSLRs, and offer both ease-of-use for beginners, and all the manual control and lens options for more advanced photographers. Back to the Panasonic Lumix DMC-GF2. 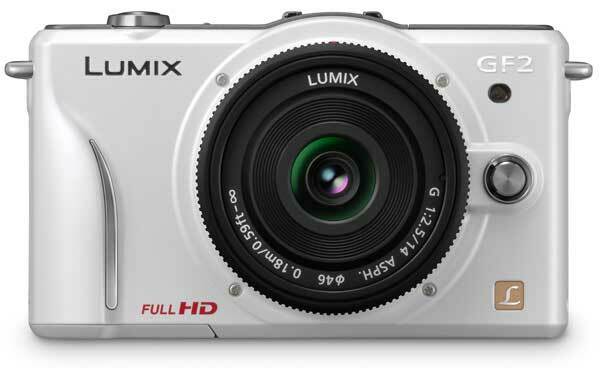 Speaking of three, you’ll have a choice of three body colours with the Lumix DMC-GF2 – silver, red and black. Sadly, there’s not a lot to day on price and availability. The Panasonic Lumix DMC-GF2 will go on sale in mid-January, with pricing details to be revealed just prior to the release.